Just about 4 months ago Tesla officially announced acquisition of SolarCity – click . Many people consider this as a giant leap towards bringing solar energy to the masses. Today we finally have a real-life case study of Tesla’s revolutionary solar system in use and it’s undeniable that Elon Musk’s company is on the right track to lead the solar energy revolution. 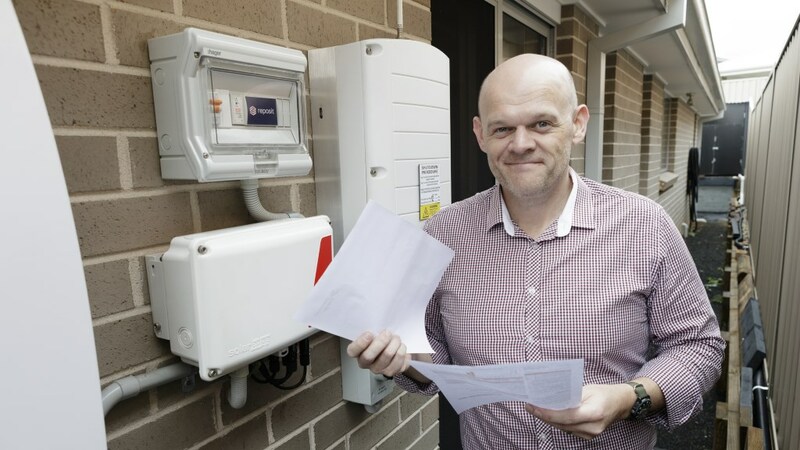 This week, a well-known consumer advocacy portal CHOICE – click, published an article describing the story of an Australian Tesla fan who used the Powerwall battery for the past year and experienced its saving potential. Powerwall – click is a smart lithium-ion energy storage pack designed and produced by Tesla Inc. In short, this product is a battery pack for your home that stores energy from photovoltaic panels and delivers sustainable electricity, even when the sun isn’t shining. Powerwall is a great backup power device but it also gives the user the ability to sell excess of energy back to the grid. With its power management system, Powerwall is able to significantly decrease household energy bills spending. The best proof for Tesla’s solar system cost cutting capabilities is the story of Nick Pfitzner described in CHOICE article – click. Nick lives with his family in a four-bedroom home in Kellyville Ridge, Australia. This large residence is equipped with atelier, laundry, outdoor entertainment area and its own pool. Powering this home with electricity in 2015 cost Nick $2289 but in January 2015 Nick decided to invest in sustainable energy system. Nick invested $16,790 in buying 7kW Powerwall battery, a 5kWp solar array, a SolarEdge inverter and a Reposit monitoring system. After implementation of this system Nick’s average quarterly bill dropped from $572 in 2015 to $45 in 2016. After a year of using his new power system Nick was able to save 92% on his annual electricity expenses. His annual electricity bill has dropped from $2110 in 2015 to $178.71 in 2016. This level of efficiency surprised the owner himself: “Before I crunched the numbers I was looking at what would be my return on investment. If it saved me 80% of my power bill, [I thought] it would be pretty good,” he says. Outstanding efficiency of Nick’s system topped original Tesla Inc projections estimating that their solar systems can pay itself off within 14 to 18 years. If Nick’s solar system will continue operating at this rate it will payback in just 8 years. Remarkable results of Nick’s power system will undoubtedly ignite already booming market of solar power systems. This combined with Tesla’s progressing plan of building 3 more Gigafactiories – click in order to increase supply and lower costs of batteries and photovoltaic panels only amplifies the strong belief that solar will power our future. Think of the most indestructible phone in the world. Most probably you, or your friend had it. It’s Nokia 3310, remember? Seventeen years after a glorious launch the father of the mobile phone is back. The fan-club of the model was growing ever since, and now it’s time for a comeback. Why people loved it so much? 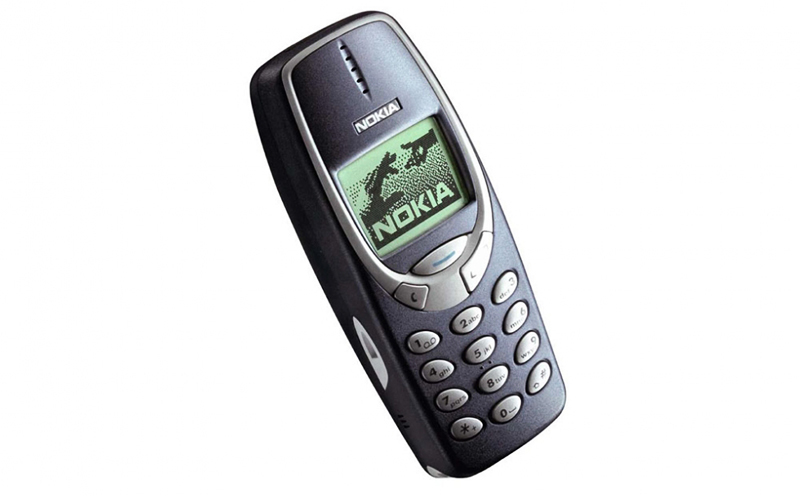 Numerous reasons, but the most common ones – indestructible, excellent battery, and best before-AngryBirds game “Snake”. Nokia 3310, or improved version of it will be launched in a month for an expected price of 63$. For everybody who feels nostalgic about the past, or wants to quit online social life – Nokia is the solution. Official launch – February 26. Probably, it’s not a new iPhone, but isn’t it exciting what happened to your favourite phone? Modern school programs often include science classes, like maths and biology, physical education and ethics. School programs are improving, but not really changing. The way kids learn at school now hasn’t changed much since 1950s. But in the 21 century it may be harmful underestimate the role of the technology in our lives. Kids learn how to play iPad even before they learn how to speak. So, wouldn’t it be right to teach them useful knowledge. It is believed that coding will become a new blue-collar job in the future – basic of the basics, something everyone should be able to do. School provides us with basic knowledge that will help us to adapt in the future workplace. But where’s the techno-part in this program. It seems, that they need a total makeover. Luckily, some schools start playing by the rules of the new century, one of them – Victorian schools in Melbourne. They introduced computer coding for children. Now kids from early age are taught how to use, and what is more how to embrace technology. Minister for Education James Merlino believes that The Digital Technologies curriculum will enable students to become confident and creative developers of digital solutions through computer coding and other advanced skills. What do you think – is it necessary to teach kids coding at school? Yesterday Pinterest has announced a launch of a new inside-app tool – Lens. It is a visual search technology, which works similar to Shazam. You take picture of an object – it can be anything starting from food to clothes, and Lens shows you the results, which are believed to be similar to yours. Pinterest says it is built on the basis of machine learning and human curation. With this feature you will be able to find clothes you like (if not the same – then similar), you can find a recipe with the food you want, or how different styles how to wear your favourite sweater. You can find the option on the bottom-right corner by tapping on the circle. A few brands, including Neiman Marcus, Macy’s and Target, have directly started using it. In the nearest future we cenexpect more brands to be using this platform, as marketers believe it to be very popular. Lens makes searching for a new product easier and, what is more it is now curated only for you. It’s been a while since Snapchat filed for a $3 million IPO on the New York Stock Exchange. News about Snapchat is going public have flown all over the world twice and came back to the point, where it feels that our knowledge about the company is very humble, so why not enrich it? Number of daily users s constantly growing, in February 2017 it has reached 158 million daily users and 301 million monthly users. Snapchat has launched Snap Foundation, to help developing youth arts and education. Snapchat had submitted a patent application for the process of using an object recognition system to deliver sponsored filters based on objects seen in a camera view, which totally changes the world of ads and marketing in general. Share in comments what was new to you, or what wasn’t mentioned in the article. Let’s share wisdom! A few years ago there was a big hype regarding the newly found material graphene and it’s for a reason, now some of these hypes has come closer to reality. So what is graphene? Graphene, a single layer of carbon atoms, may be the most amazing and versatile material that mankind has available. It is stronger than steel, yet lightweight and flexible. In the graph, electrons move much faster than in silicon. It is also a transparent electric conductor, which combines electrical and optical properties in an exceptional manner. These properties allows for some serious next step technology, some of the new inventions that scientists are currently working on include foldable screens, new types of composite materials, foldable organic oleds. In more distance future the talk goes around creating new retinas for those who’s are damage. Mikael Fogelström has a TedTalk where he talk about a lot of interesting areas where graphene could be used. To make all this happen, the European commission assigned a joint venture of researchers in the area in 2013 with a horizon until 2020. The project has been granted 1 billion € budget and consist of over 150 academic and industrial research groups in 23 countries. The project is coordinated by the Chalmers University of Technology in Gothenburg, Sweden. What would you do with a material like graphene ? It seems, that the world has finally realised that technology is driven by inspired people, no matter where they come from. India, Belarus or United States – brilliant minds are equal in the eyes of a techno-evolution. Travelling to another country is ain’t easy, relocating there – sometimes becomes mission impossible. Unfortunately, not every country can boast its progress and business-friendly policies, which ease the work of start-ups. Yet fortunately, country by country in EU start to implement new regulations, that attract start-ups from all over the world. Estonia and France are being the most proactive countries of the EU – they are first to introduce start-up visas. Now, a non-european citizen can relocate and continue changing the world in those countries. “Compared with most of the other startup visa programs, the Estonian one differs by offering preferential terms for obtaining a visa or a permit for both the startup entrepreneurs who wish to set up or relocate their company to Estonia as well as employees seeking to work for Estonian startups”. Congratulations Estonia and France for being the most far-sighted countries! Startup visas have been introduced in more that 10 countries around the world, and we hope, that a lot more are about to come. For the technology sake. Top 25 passwords of 2016. Are we really concerned about our privacy? Recently, a fresh list of most common passwords was published by Keeper Security. And honestly, they are ridiculous. We continue talking about identity thief on Internet, but we do not even bother protecting ourselves on the very first level. Keeper has analysed 10 million passwords from data breaches in 2016. Below is the result of the most popular passwords of the web in 2016. Isn’t it terrible? Even trying to be creative we are still so predictable (the example of “1q2w3e4r” and “1q2w3e4r5t” are the prove of it). Around 17% of the users still have the password “123456”. Privacy is not a joke, and we as users have to grow up, because those passwords could’ve been used in 2000, not in 2016. If you find your password in this list – shame on you. If not – double check.